Enjoy a classic in a smaller portion. 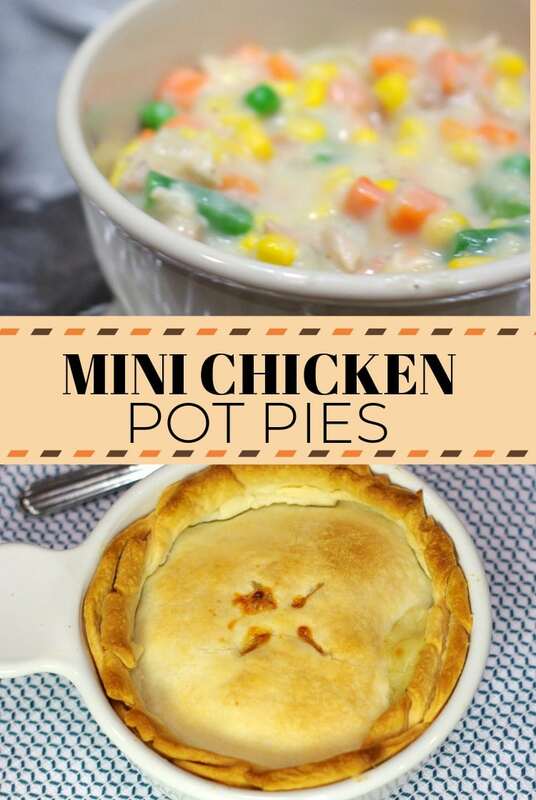 These individual Chicken Pot Pies are mini servings but just as delicious as the whole pie! Do you ever wish you could just eat the whole pie yourself? 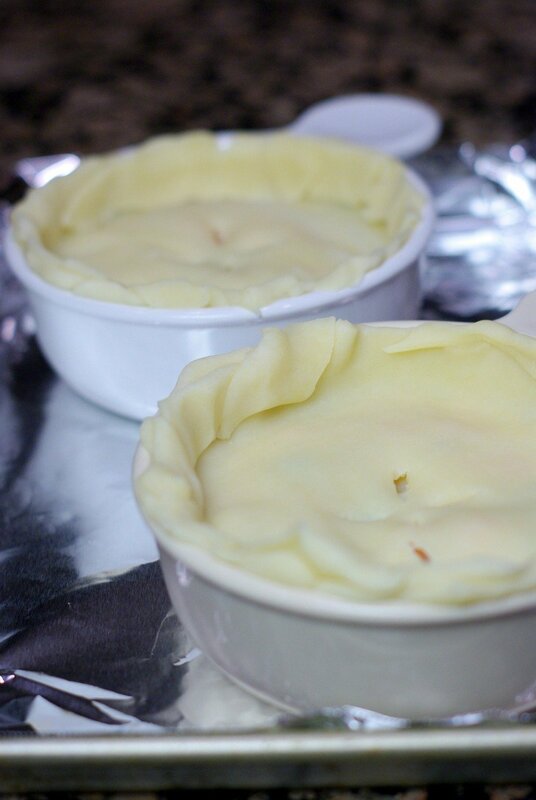 I love a good pot pie and what I love about this family recipe is that it is all mine. All mine! 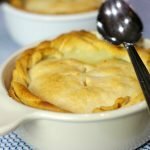 This recipe is slightly different from my classic pot pie recipe because it doesn’t have a bottom crust. I love being able to give everyone their own portion. It’s neatly contained and creamy delicious. 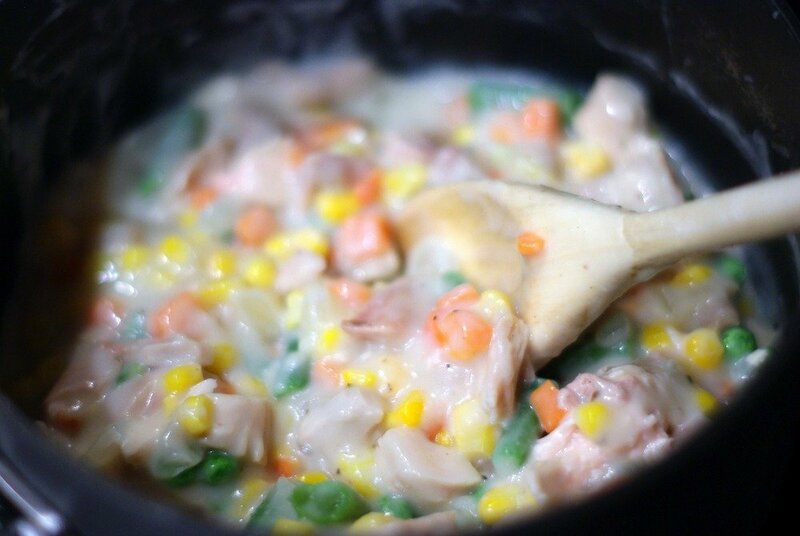 Great comfort food with less guilt. Just trim out the right shapes for the top of your bowls. Pre-made puff pastry works well too as does refrigerated biscuits. Just get creative. And don’t be afraid to let that pie topper spill overboard. Yum! 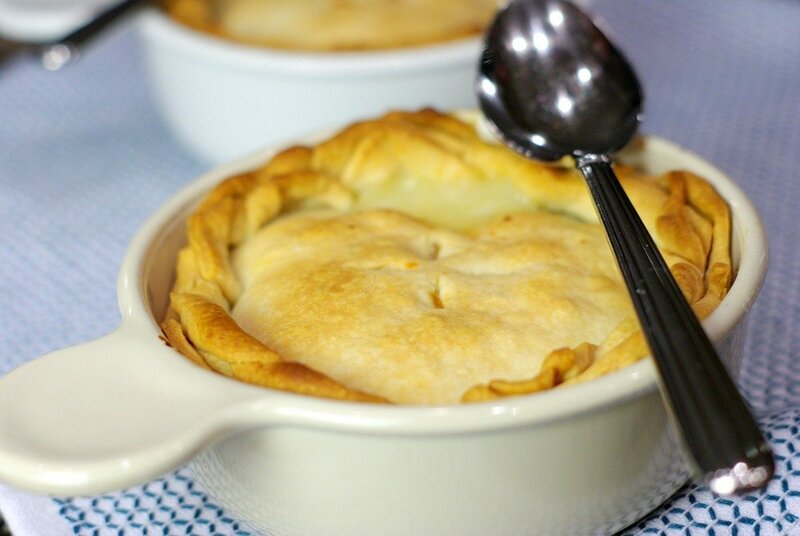 Serve up this classic pot pie in a mini version. Using a medium-sized sauce pan, sauté the onions in butter for 5 minutes. Add the flour to make a roux. Slowly add broth and milk. Stir until thickened. Add the chicken and veggies. Pour into individual bowls. Cut the pie crust into circles trimming the edges and adding and pressing the extra dough around edges of the bowl. I like a crusty bowl. Bake at 425 degrees for 35-40 minutes or until golden brown on top. This is the perfect size for just me! I love that with individual portions you get plenty of crust! Thanks. Plenty of top crust and no soggy bottom crust. 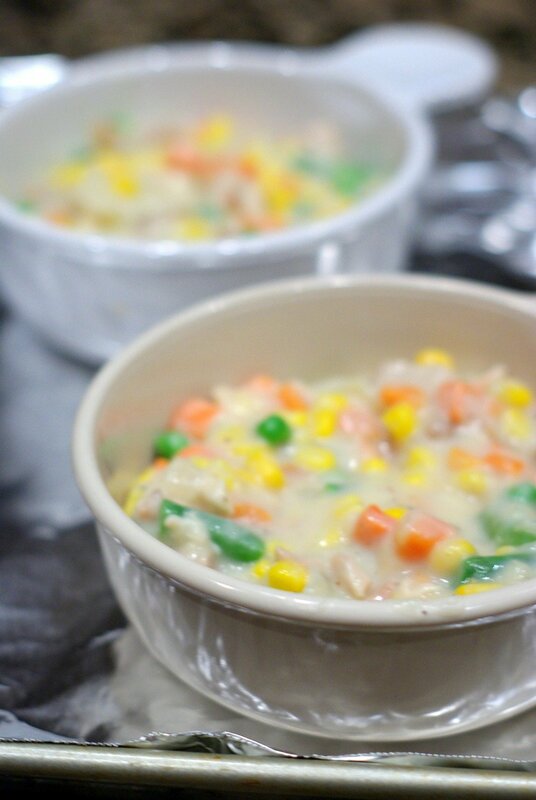 This is a great version of chicken pot pie for weeknights when I can barely scrape together the energy to set the table and plate the food, but it makes for an elegant presentation. It’s a regular recipe in my arsenal for midweek meals and has everything you need in one bowl. Thanks for visiting.